Great apartments submitted by Ashley Y. - Jan 26, 2016 |Recommended: YesThis was my first time renting and it is a very good experience. Great Affordable Place to Livesubmitted by Shermanda E. - Jan 31, 2015 |Recommended: YesElan River Village Apartments is a safe, quiet, and clean place to make a home. This is my first experience living in an apartment and I am glad to say that living at Elan River Village has been a very good experience for me. I enjoy the open environment, not being a gated community confirms how secure the area really is. I come and go as I please with no interruptions and the people I ve seen around are friendly and quiet. Maintenance keep the grounds looking fresh and groomed and trash is never over-flowing. The place is pet friendly but I don t see a lot of dogs running around which is a plus for me. 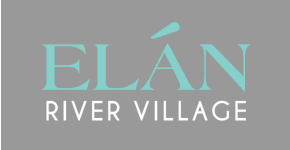 The people who live at Elan River Village are hard working, easy going, every day people with various living arrangements providing a healthy scene of diversity. There are a lot of other places I could have chosen to live but at the end I am very satisfied living at Elan River Village Apartments. The NICEST Apartment Staff Ever!submitted by Courtney K. - Dec 27, 2014 |Recommended: YesThat I love it but it could use a bit more parking. Nice clean, quiet place to live.submitted by Linda M. - Jul 31, 2014 |Recommended: YesThe landscaping is expansive and very well maintained. The pet friendly policy attracts pet owners who tend to be more respectful and quiet around their neighbors. We actually really enjoy living here. response from property - Feb 06, 2015 Thank you Linda! We appreciate your feedback and are glad you enjoy your home! response from property - Jul 02, 2014 Thank you Jon! We will miss you both when you leave soon and wish you nothing but the best! Great place to live. submitted by Tara C. - Jan 03, 2014 |Recommended: YesQuiet, well maintained. No issues. response from property - Jul 02, 2014 Thank you Tara! We are happy to serve you! Great Community to live in.submitted by Norma T. - Dec 01, 2013 |Recommended: YesIt's always very clean, quiet, and neighbors are very friendly. Also, it's very close to Escondido High School and I have 2 teenagers that attent the high school which makes it very convenient. response from property - Jul 02, 2014 Thank you Norma! I am glad you are happy and enjoying your home with the kids! Convenient, forward thinking, accommodating, well managedsubmitted by Isaac K. - Oct 18, 2013 |Recommended: YesSo far the property is very clean, quiet, and well managed. Although the neighbors are quiet, the walls are fairly thin so at times, tenants can hear what's going on the other side. The apartment seems to have substandard insulation and loses heat very quickly. response from property - Jul 02, 2014 Thank you Issac! We have enjoyed having you here with us!